If you’re planning your trip to New York City in winter, it’s worth timing your trip for the holidays in NYC. There’s nothing more magical than snow falling in Central Park, watching the Macy’s Thanksgiving Day Parade, enjoying the Christmas windows, simply celebrating Christmas in New York, or counting down during New Years Eve in Times Square. New York during the holiday season is not cheap as everyone else loved the movies about New York during Christmas…but it’s worth it and I hope that these tips for the best things to do in New York at Christmas (or just during the holidays) inspire you to book your trip! Click for tips for finding an affordable hotel in New York City during the holiday season. 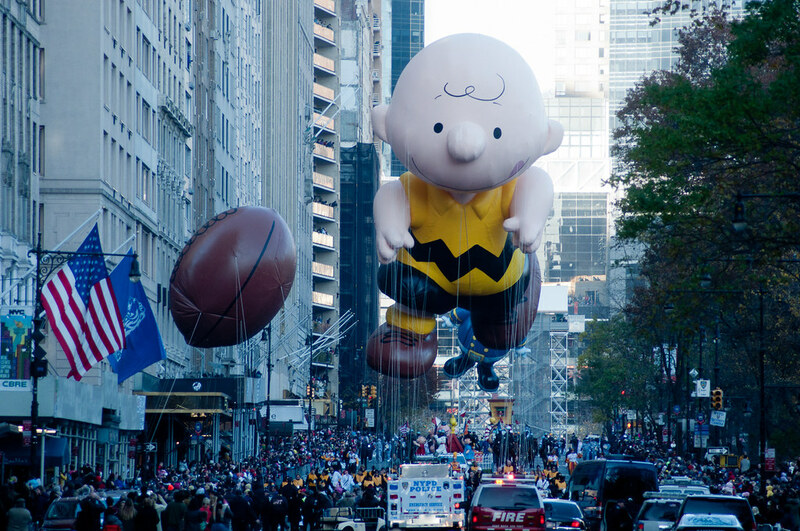 Thanksgiving in New York City is one of my favorite holidays and I have such a strong connection to the Thanksgiving parade, which I’ve watched every year. However, I’ll admit to watching at home. Why? It’s cold in November and the idea of standing outside without a bathroom for hours has actively discouraged me from attending the parade in person. Similarly, the music that you see on TV is limited to specific sections of the parade that are difficult to access without standing in a pen from 7am onwards or knowing someone. However, there is a secret to seeing the floats without the crowds for free. If you’re coming in from out of town, I recommend considering to splurge for one night for a hotel along the route where you’ll be able to see the floats from the comfort of your hotel room. 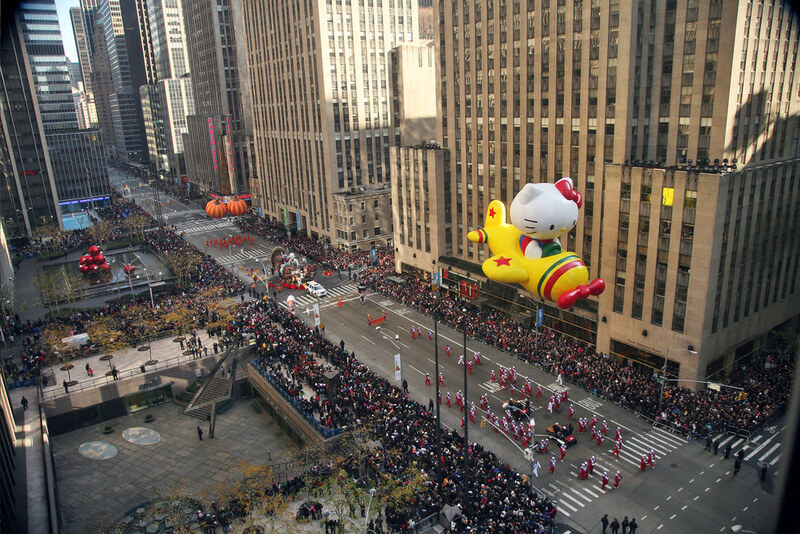 The night before the Macy’s Thanksgiving Day parade, you can watch the balloons be blown up for free between 3pm and 10pm. 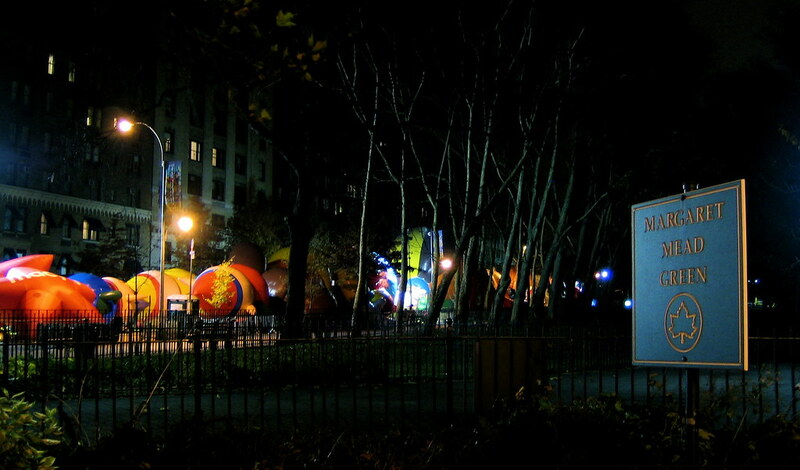 If you head to Central Park West between 77th street and 81st street, you’ll see all the balloons that you’ll see the next morning. It’s really magical and the earlier you go, the more they grow. It’s an incredible sight and I would recommend it over the Macy’s Thanksgiving Day Parade even! For Thanksgiving dinner, you’ll find some restaurants open, but you’ll need to make reservations ahead of time. Expect most places closed after the morning. The next day, enjoy all the amazing deals for Black Friday at all the major American retailers! About a week beforehand, you’ll find a list of the best deals and where to find them although you might need to leave Manhattan to visit retailers like Walmart. Most stores typically have massive sales before, during, and after this period, so it’s perfect for holiday shopping if you don’t mind the lines. The lead up to Christmas is the most bustling time in New York City and my favorite of all. My favorite tradition is the Christmas windows in New York. 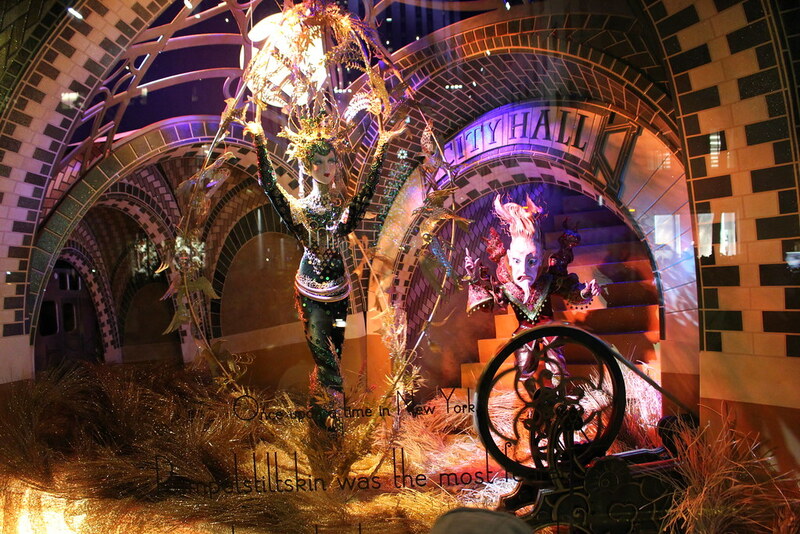 You’ll find the Christmas windows at New York’s most iconic department stores on 5th avenue. 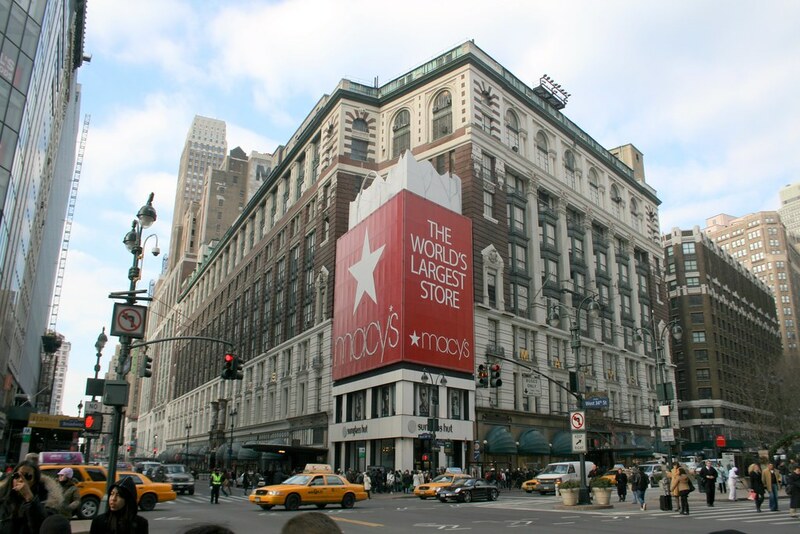 The major stores (think Macy’s!) decorate their windows specially for the holiday season with elaborate themes, animatronics, and stories. The windows change every year, so read up on the windows before deciding. They typically emerge a bit before Thanksgiving and are taken down after New Years. I usually visit Macy’s, Sak’s Fifth Avenue, and Bloomingdale’s! Be sure to wear comfortable shoes and don’t be afraid to skip the ones that aren’t supposed to be as great (this year). Be sure to wear comfortable shoes; you can take the subway between the windows. 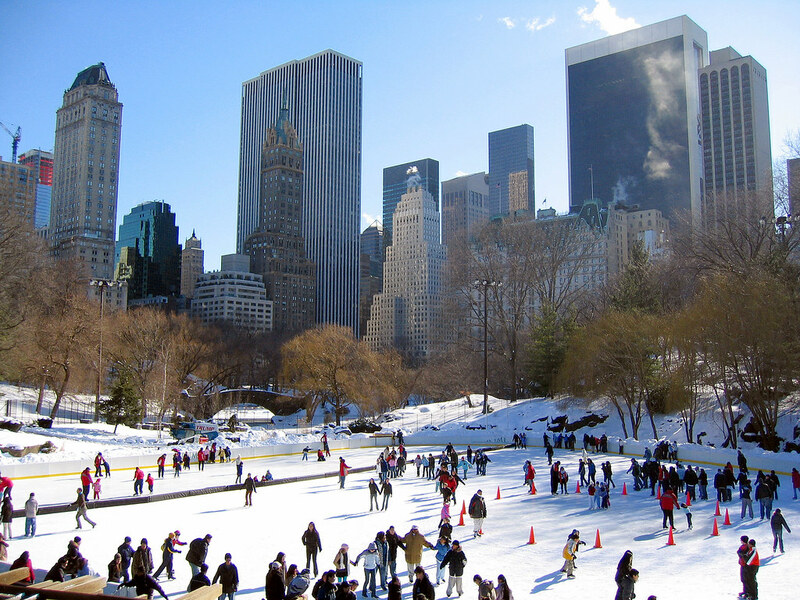 If you want to ice skate, skip the ice skating at Rockefeller Center and head to the stunning Wollman Rink in Central Park or Bryant Park for the best winter ice skating in New York City. If you’re in Bryant Park, step into the beautiful New York Public Library for free warmth and incredible architecture. Arts lovers, be sure to see the iconic Nutcracker Ballet or the Rockettes at the Radio City Music Hall. Both of these sell out quickly, so be sure to get your ticket as soon as you know you’re heading to NYC! I think of the Rockettes as the classic. Otherwise, you cannot go wrong seeing a Broadway show, concert at Carnegie Hall, an opera at the Met, or for those on a limited budget, an off/off-off Broadway show or the Met. Staying indoors is an art form with the cold weather although the Union Square Christmas Market is worth browsing. It’s better with a hot chocolate. 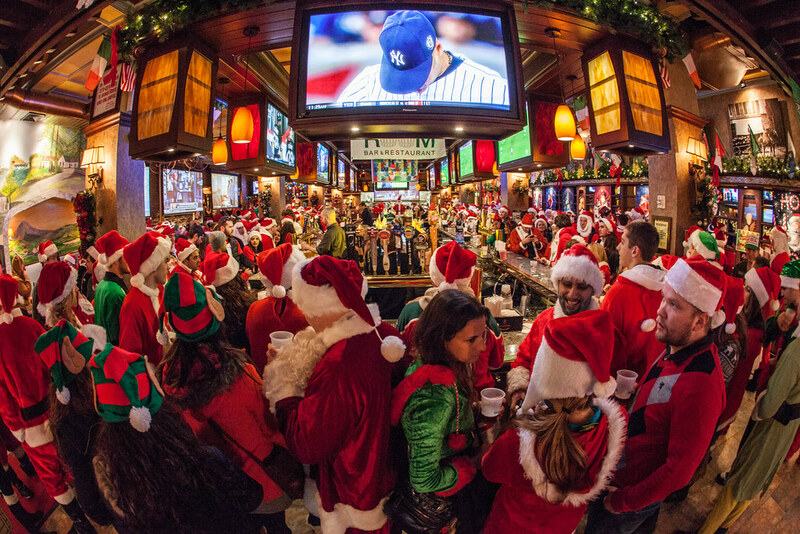 Santacon is an annual tradition to love OR hate. If you’re in town on one night in December 10-12th (check ahead! ), you can dress up with thousands of New Yorkers in holiday costumes of varying degrees of creativity to drink all around Manhattan. It’s pretty unique and you’re guaranteed to make lots of new friends also in the holiday spirit. Even if you miss the Rockefeller Centre tree lighting on November 28th (always verify the date in case of weather related changes) at Rockefeller Center, you still can view the famous tree for the entire season. The tree lighting in New York City is NOT overrated although this area is always quite crowded. Personally, I prefer it at night. Also absolutely free. The tree is also crowded at night, however I find that the crowds tend to relax around dinner time, so consider getting some chicken and rice afterwards. Central Park is great year-round. If you’re lucky, you’ll be able to build snowmen with the rest of New York. It’s just absolutely beautiful to walk around, especially if there’s a fresh snowfall. In winter, it’s especially important to have comfortable shoes with good grip as the ice can be problematic on the sidewalks. A lot of people underestimate how cold New York can be in winter, so I usually recommend a pair of shoe boots for walking around New York. If you’re a cocktail lover, don’t miss the pop-up holiday themed bars where you can feel the holiday spirit and enjoy the holiday season in a decked-out bar with festive cocktails. Sippin’ Santa’s Surf Shack opens up in December and serves up expertly made holiday-themed cocktails in a bar full of decorations. Similarly, you can visit Miracle on 9th Street in December for more holiday themed drinks. Personally, I find the lead-up to Christmas to be more exciting than Christmas in New York City. New York is notably quiet on Christmas due to many people being off enjoying the holidays with their family outside of the city, however you’ll have NYC to yourself if you can find an open museum or restaurant. 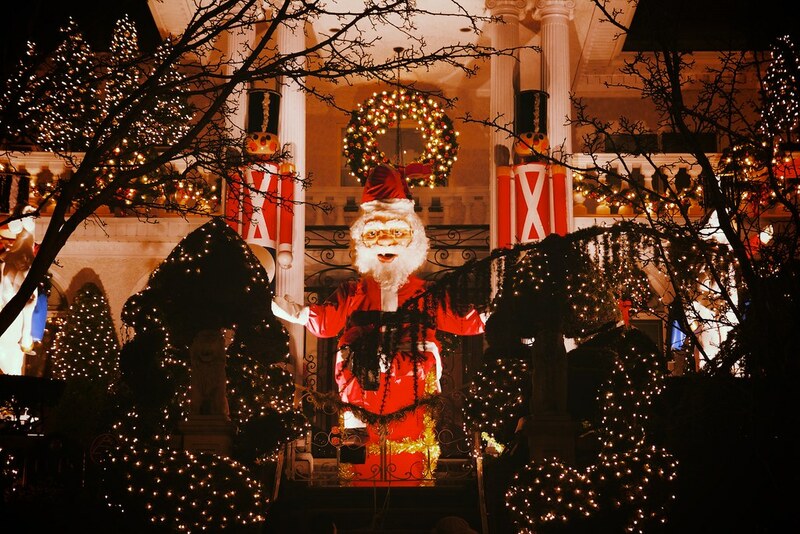 You can enjoy the best Christmas lights in New York City by visiting Dyker Heights, Brooklyn or in Whitestone/Bayside in Queens. Dyker Heights is famous in New York for its elaborate Christmas lights as the WHOLE neighborhood goes all out. If you’re curious how the non-Christian New Yorkers spend Christmas, head to your local movie theater and/or Chinese restaurant, which are typically crowded—but open on Christmas. Just buy your tickets ahead of time and if you haven’t checked out the neighborhood of Flushing in Queens, you should head to Queens for the best food during Christmas in NYC. I also find that Forest Hills in Queens can be a great place to go for the movies on Christmas. Who can resist the glitter and glamour of NYC on New Year’s Eve? Well, this New Yorker can after doing it once. After a memorable and very cold NYE spent standing in a metal pen for hours, I vowed never to do it again, but it is a once in a lifetime thing that every person that I’ve ever met who did it said they’d never do again. Instead, celebrate New Years like a native New Yorker, who usually seeks out cozy neighborhood bars as well as glitzy parties with unlimited drinks. You’ll spend a pretty penny (typically around $100) to buy a ticket for a party overlooking Times Square, but it is worth it not to be standing out in the cold. You’ll find many parties without a view for a bit less, so don’t feel that you need to spend a lot for New Year’s in New York. Do not bring ANY liquids/backpacks/champagne and be prepared to be searched by the police as security is tight. If you arrive past the afternoon, the likelihood that you will be in Times Square for the ball drop proper is close to zero. Once you get through security in Times Square, you’ll be led into a pen where you’ll spend your time befriending you new pen-mates. Although drinking lots beforehand seems like fun, you will regret that once you’re in the pen. You cannot leave if you need to use the restroom without losing your place and a friend ended up ditching the pen for a nearby diner, which he enjoyed more, after needing the bathroom. If you’re set on going to Times Square on New Year’s Eve, know that the nearby train stations are shut-down and you’ll need to walk quite a while from the avenues blocks over. Check that day on which subway stations are open. We were able to take a train into 59th street to give an idea of how far you will need to walk. 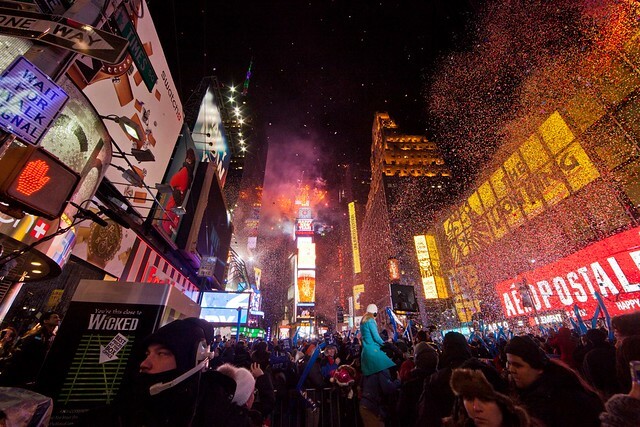 New Year’s Eve in Times Square is NOT for people who get claustrophobic or who want to toast at midnight. If you’re looking for an alternative, I spent last New Year Eve’s in Reykjavik, which was absolutely amazing if you’re in search of a public square with fireworks, traditional bonfires, no pens, champagne in the streets, and not many people! The sheer energy from Times Square on New Year’s Eve is INCREDIBLE to experience even if you’re in a pen for hours, but you’ll experience it even if you’re in the nearby bars. Just be aware that there’s a mad dash for the trains after midnight everywhere and you won’t arrive back until very late due to the schedule/delays. Experience the New York like a New Yorker the next day on New Year’s Day, which is a traditional day when Italian families often visit each other. Visit the real little Italy in the Bronx to get fresh cannoli and other sweets. Public transit will be running. The schedule is often reduced on holidays to a Sunday schedule, which makes the trains/buses more crowded as they run less often, but you will be able to take the LIRR, bus, subway, and Staten Island Ferry. Just expect delays, crowds, and a wait. Cabs/Uber will be more expensive on major holidays and much harder to get. Don’t depend on being able to find a taxi on New Year’s Eve shortly after the ball drop. This is the most busy time in New York and finding a place to stay in New York during the holidays will be more expensive than average. Be sure to book far in advance. If you’re interested in the Thanksgiving parade or Times Square, it might be worth it to look into the cost of hotels along the route/close to the action. For more advice on where to stay in New York on a budget, read more here. Flights to New York City will be significantly more expensive as many New Yorkers travel during this time period, so expect to pay almost double in the lead up to the holidays although leaving/arriving on the same day as the holiday will be less expensive. Weather in New York City in November/December/January will be chilly. Be prepared for temperatures slightly above freezing (32 F / 0 C) although daytime will be warmer. Make sure you dress the part with a good jacket, layers, a good hat, AND a scarf. If you come unprepared, visit UNIQLO for inexpensive winter jackets otherwise any good wool jacket will do fine. Not every Christmas is a white one, but the snow can shut a lot of things down, including the subway if there is a blizzard. 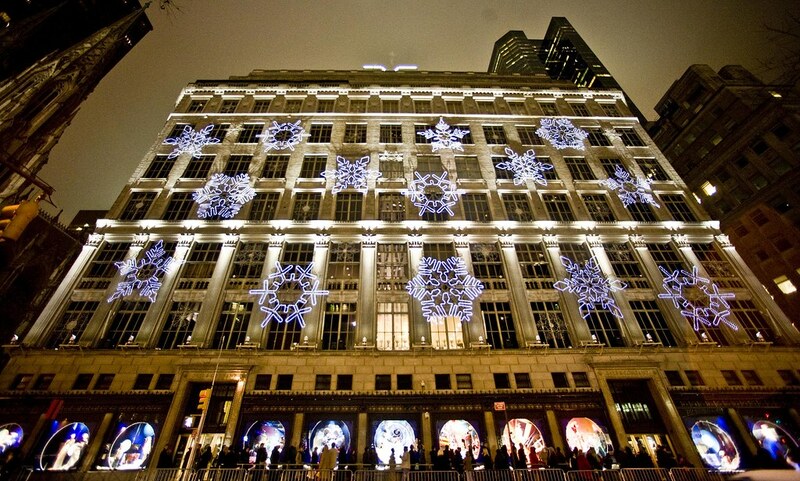 Have you dreamed about Christmas in New York City? I agree that it’s better to just watch the Thanksgiving Day parade from home snuggled up warm in bed 😉 And as for the ball drop, so much more fun in a bar! I don’t do crowds like that… I haven’t been to a NYE event in New York yet, but it sounds like it would be fun! Thank you for reading Marie! Whenever a couple relatives or friends visit during this time of year, we always take them–so I just finally wrote down my recommendations! I think NYC is best in summer and winter although I love the cheer/kindness all around. Yes, glad to hear someone else who agrees about the parade. We tried it once, but it was so COLD. Regarding the ball drop, I wasn’t that keen on it, but a friend had decided to spend NYE in NYC with me JUST so she could, so I didn’t want to disappoint her. Since then, only bars and outside of NYC! Thank you so much for reading Ro! I know the feeling although it won’t be happening this year for me. I think NYC just transforms itself for the holidays–and it is truly magical! New York looks truly magical at this time of year, with the snow and lights. I would love to visit. Great tips here which you would only really get from somebody who knows the city well – like seeing the balloons the night before the parade, and which ice rink is best to go to to avoid the crowds. Hi Amanda, thanks so much for reading! I’m glad you felt that way and I was quite surprised to find that there’s not more information out there about visiting from fellow New Yorkers! I so recommend the balloons at night! NYC is a great place to visit, I first visited the day after the christmas lights were turned on and luckily it was quite mild, tshirt weather!! It was great to see all the illuminations and go ice skating in central park. I would love to see in New Year in Times Square but really not sure I could stand the cold for that long!! Hi Clare, you got quite lucky. The year that I did it, it was actually quite okay, but the year before that was a blizzard–so you never know. Glad to hear that you enjoyed it and it is really magical over the holidays! I got lucky with my new years in Times Square, it was unseasonably warm. There is no way I would do it again unless it was like that again. I just don’t know how people do it. Now, I usually either go to a house party or go out of town on New Years. Great tips!! I have never done anything “touristy” on the holidays, really, except I’ve seen the big tree of course, and the Rockettes Christmas show! I am usually home in Syracuse! NYE I try to get as far away from Times Square as possible! hahah..house parties all the way, for me! I do love all of the festivities, though, and I will really miss them this year that I’m not there! My absolute favorite thing to do around the Holidays is a little Holiday pop-up bar called Miracle on 9th Street. It’s in the East Village and they decorate it from head to toe and there are some amazing drinks! The atmosphere is so cool. I’ve done a few of these but not Times Square on NYE and some of the other experiences outside of Manhattan. I never spend much time looking at the store windows but this year I think I will try to make a point of it. I also love the smaller neighborhood tree lightings! This is such a great post! I would love to visit NYC during the holidays, but have always wondered how to avoid the crowds there. Thanks for the tips!! Even I am not a person enjoying crowds therefore avoiding traveling on Christmas and alike, it was a great read. I liked your tips so much. Maybe I will be in New York on those dates accidentally. You never know 🙂 Thanks for sharing! This is great information! I was born in Manhattan and have such found memories of the Holidays in NYC! I only did the Thanksgiving parade once but have wanted fi do it again! I also wrote a post about NYC at Christmastime because it is magical. I’m hoping to gather my family there for the lighting of the tree next year. Oof — NYE in Times Square sounds like my idea of a nightmare (not being able to go to the bathroom for half a day?) but most of the rest of this looks downright magical. I’m a total sucker for big cities during the holiday season! So exciting! Visiting NYC during the holidays is a treat like none other. 2 years ago I was in Kuwait during America’s Thanksgiving, and showed a group of locals footage from the Macy’s parade – they couldn’t believe it was real (and I couldn’t believe they’d never heard of it!). Wonderful memories! Wow, I’ve seen pictures of thousands of Santas in NYC before but I never knew it was Santacon and that it is annual! This is definitely on my Bucket List now! Spending Christmas AND New Year’s in New York is actually a dream of mine. Although I would not say no to visiting it any time during the year, the winter period and especially the end of the year seem magical. Loved the post, super informative and helpful! THANK you :). Hi Helen, Thanks for reading and I hope you have an amazing time! Expect heavy traffic that day and it might be best to actually take the LIRR instead of a cab! Let me know if you have further questions! Thanks so much for all those precious tips! Hi Christina, Thank you so much for reading! I hope you have an amazing trip to NYC! Contact me if you have any questions! Thanks for such a comprehensive guide! New York seems so magical in holiday season, though I must admit I’ve always been too intimidated by those massive crowds to book a trip over Christmas or New Year – you’ve given me a lot of food for thought! Nice tips! Being a NJ-ite I have only been to NYC a trillion times LOL, and many during the holidays. Was back State-Side 2 years ago and visited 30 Rock before Christmas. Crowded as all hell, as always, but it was worth it of course. The energy is palpable, and store fronts beautiful and the 1 of a kind nature of NYC during the holidays was felt by all. Thanks for sharing! We live in Boston would actually love using this list for a holiday city escapade. Thanks for sharing! This post took me back to living in New York. I loved the holidays there! My birthday is around Thanksgiving and my ex’s was Christmas so we had a lot of celebrations around this time. I totally agree with all the tips on here. I did get my hair styled in a salon not far from the Thanksgiving parade and saw some of it from afar a few blocks away. It wasn’t crowded on that section. I think I was on 32nd and Madison. Also loved seeing the lights on 5th avenue of the Christmas displays, I do this when the shops are closed at night and the streets are quiet and then walk over to see Rockefeller center to see the angels and tree! It’s magical. I was a clown in the Macy’s Thanksgiving Day Parade two years in a row! I love visiting the tree in Rockefeller Center the day after they light it up! It’s been a tradition anytime I am in the area!